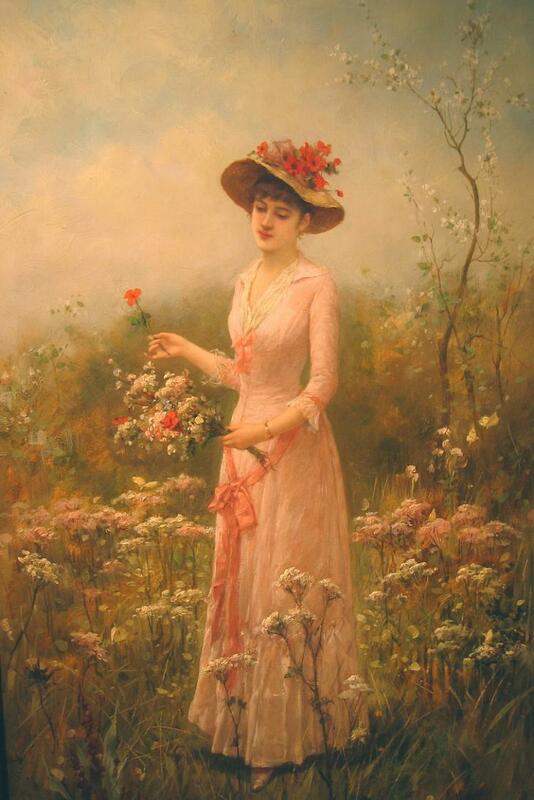 Melody & Mist: "Elegant Lady" By Charles Amable Lenoir ~ 1860 - 1926. Charles-Amable Lenoir (22 October 1860–1926) was a French painter. Like his mentor, William-Adolphe Bouguereau, he was an academic painter and painted realistic portraits as well as mythological and religious scenes. His artistic career was so prestigious that he won the Prix de Rome twice and was awarded the Légion d'honneur. Lenoir was born in Châtellaillon, a small town just outside of La Rochelle. His mother was a seamstress and his father was a customs officer. When he was young, his father was reassigned and the family moved to Fouras. He did not start out in life as an artist, but instead began his education at a teachers' college in La Rochelle. Upon graduation, he worked as a teacher and supervisor at the lycée in Rochefort. Labels: Charles Amable Lenoir ~ 1860 - 1926 ~ Elegant Lady. Arlene Dahl ~ 1928 - 1950's. Portrait By ~ Carlo Dolci ~ 1616 - 1686.